Reef Ecologic engages in strategic partnerships with communities, businesses, governments and the NGO community to design and implement innovative solutions to environmental challenges. Our strategic partnerships allow us to facilitate access to a broader range of resources and expertise, and to foster and strengthen collaborations to improve project outcomes. We do this by striving to ensure all human uses of the Park are ecologically sustainable and that the ecosystem’s natural functions, especially resilience, are maintained. The Reef is a phenomenal wonder and presenting its natural values to the world through industry and public uses is an important and positive part of this presentation. 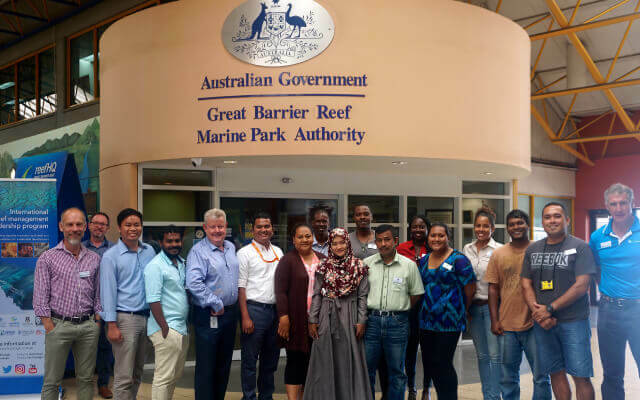 The Great Barrier Reef Citizen Science Alliance is a network that fosters collaboration, capacity building, advancement and action for citizen science that benefits the Great Barrier Reef. Our Vision for the future is a resilient Great Barrier Reef supported by a network of sustainable, collaborative and innovative citizen science programs.